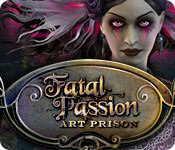 Fatal Passion: Art Prison is rated 4.1 out of 5 by 27. Rated 5 out of 5 by SYLPHEERA from Beautiful pictures.... The art in this is first class. Soundtrack music is also important to me... it was ok, but I feel like I've heard the music before - in some other game. Anyways, I liked the story and concept of this game - the villain and player having to paint objects into existence. There are two types of HO scenes, firstly the type where you find things, but also the ones where you have to place the objects. I am the kind of player who likes many HO scenes and the biggest criticism I have of most games is that there aren't enough of them. Too much point-and-click/inventory stuff, you see. A few more HO puzzles and this game would have been one of my absolute faves. Rated 5 out of 5 by ninja226 from Classic, great quality, HOP game This is a terrific game that doesn't get much exposure on BF website. A shame. Not much to say, except a great game the way they used to make 'em. Rated 5 out of 5 by tutortime from Great Game ! This was a really nice game to play. The graphics and story line were good and the mini games not the usual games. It has a map to jump locations and lots of different scenes to interact in. Rated 5 out of 5 by Kimmycoo from Gorgeous Graphics This was a beautiful game. The music, the graphics, each HOS, the mini puzzles, the characters, the cut scenes. The voice-overs were fantastic. 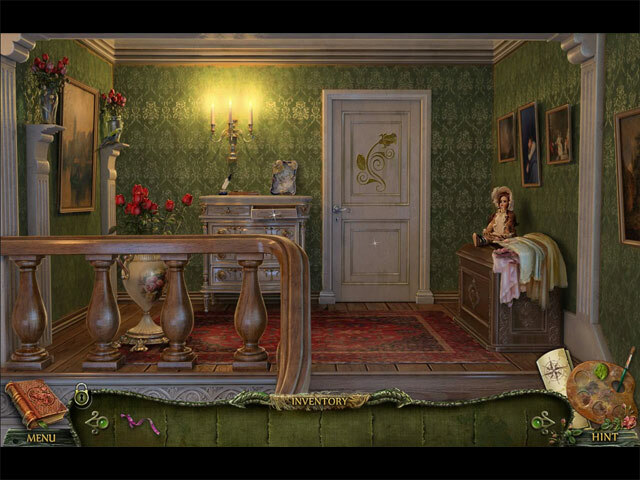 I just loved this game, a Victorian look, a mixture of different ways to play each hidden object scene. Sometimes you place an object into a scene, sometimes you put things together and sometimes its both and then just finding objects. This I think should be bought as a collectors edition, after beating the game, I feel I should have went for more. I loved the story line and how many of us loved someone who left us and we wish we could paint them and bring them back as a clone? lol ok, perhaps you havent wished that, BUT havent we all wished we had a clone of ourselves so we could get more done around work or home? Well anyway, I loved that you painted your objects here and there in the game and brought them to life. Some of the mini puzzles were hard, but I would rather that than be easy. I just wish I could say enough about how beautiful the scenes were. This is just a wonderful, awesome, beautiful game. I beat this in about 5 hours. I give this 5 stars. Rated 5 out of 5 by swampie from GOOD-LOOKING GAME ! The teapot in the kitchen, in fact, all the interior scenes are as good as it gets. Really enjoyed every minute. HOs are standard, puzzles not the usual (though not MCF Puzzlers). As always, try before you buy. Rated 5 out of 5 by j62janet from the end I loved playing this game, you had to get the engaged couple married, the only problem I had was, at the end, I won't say why as I don't want to spoil it for others. The painter paints the young girl in a jelly, which you have top figure out how to melt it, as the light up above her is broken. the maid doesn't want you to free the engaged women, as she's in love with the man who has created all the paintings that come to life, for me I'd stay well clear of him, imagine marrying him, if you displease him, he will trap you! 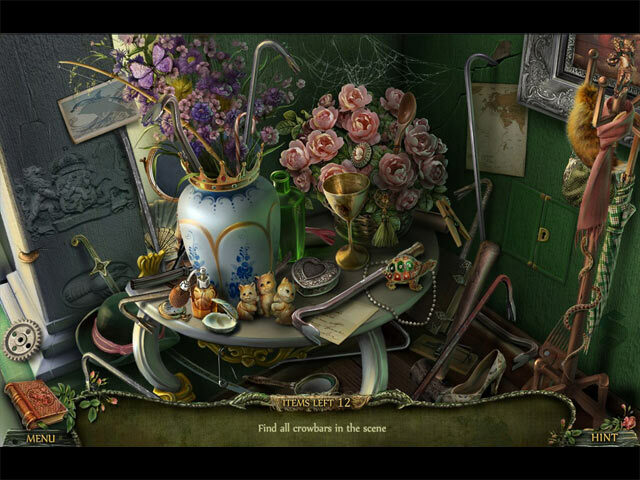 Rated 5 out of 5 by MissPugie from Fun Hidden Object game This is my first review and played the game for a short time. Just loved the easy way you move around the scenes. Does not seem to be too difficult. Rated 5 out of 5 by CoastalBaby from Based on trial This is a fun, intriguing HOS, puzzle, adventure game. The HOGs are silhouettes which release the next item needed. The graphics are good & pieces/parts are very recognizable. The puzzles are challenging without being too difficult. I usually don't play with the music on. This was good music for the theme of the game, but I still turned it off. Personal preference. I like the storyline-artist gone made with evil paintings coming to life to stop you from your tasks & goals. I was engrossed from the beginning & it ended too soon....... This game is not too dark either graphic wise or theme wise. Just enough to hold my interest......can I stop the evil artist? I recommend this game. Rated 5 out of 5 by rosekaufmann from VERY INTRIGUING STORY You travel by balloon to your niece's wedding, only to be attacked by a flying serpent. You land outside the town, which appears to be lacking in inhabitants going about their business. When you enter town, a mysterious painter appears, and his paintings come alive. You have to figure out who he is, what his objectives are and how to foil any nefarious intentions he has. And what happened to your niece - you find her carriage has been abandoned without a trace of her. How intriguing! Objectives are listed and your map provides for fast travel and lists your objectives in each location. Silhouette searches, with a few find a number of a particular object. Your search rewards are used in fairly close proximity to where you find them. Music is relaxing. Graphics are not artistically fantastic but are quite good. 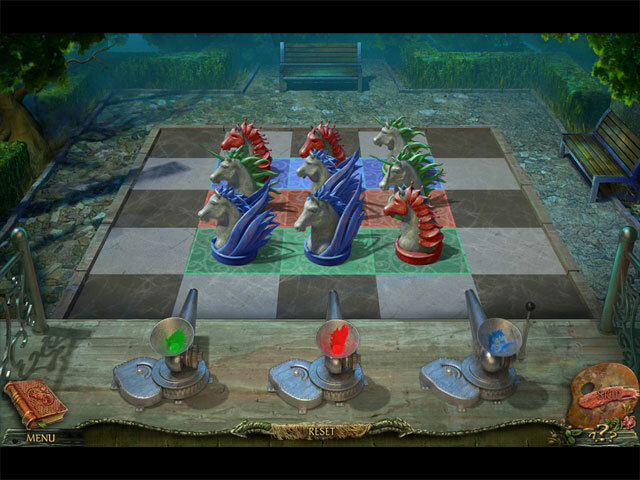 Puzzles are tied to the story and are easy to figure out given a little thought. SUMMARY: The developers spun an intriguing story. The painter is a nice touch because he appears suddenly and you have to figure out the context. You can only guess he is an integral part of the story.